SOME off-season reading and a tweak to his diet has Gold Coast's rebounding defender Kade Kolodjashnij feeling better than ever. Kolodjashnij, 21, missed games on two separate occasions last season when struck down by mystery abdomen issues. He was expecting to have off-season surgery to fix the problem, but high performance coordinator Justin Cordy suggested he do some research first. "I sat down with the doctor and nothing showed up in the scans, so we decided not to go with the surgery," Kolodjashnij told AFL.com.au. "I've read a book on gut bacteria - Justin Cordy gave it to me - and that's really helped me. "Just the right foods to eat for good digestion, for bacteria in your gut. "They reckon I had a partially blocked bowel, but we're not 100 per cent sure what's causing it." The young Tasmanian said he's added "good bacteria" foods to his diet like Greek yoghurt, as well as more high-fibre foods. The results have been instant. The smooth-moving left-footer has been one of the Suns' fittest players in each of his three seasons, but has hit his current campaign in even better shape. "It's the fittest I've felt since I've been at the club," he said, after recording excellent time trial and DEXA scan (body composition) results. On the field, Kolodjashnij had his difficulties in 2016 after setting such a high standard in his first two years. 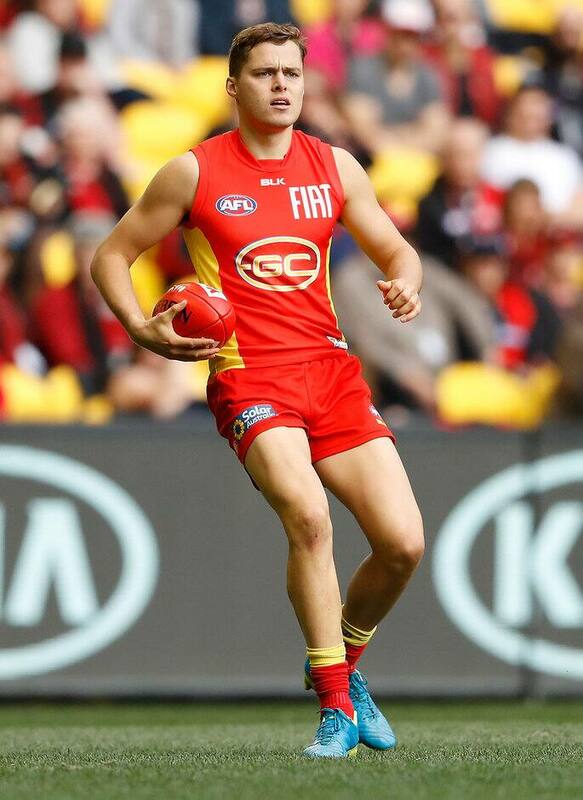 He played 19 games, missing two with the abdomen problem and also suffering a concussion against Richmond. "Last year was up and down," Kolodjashnij said. "I'm looking to put that behind me and learn from it. "I just wanted to go one step further and I wasn't living up to expectations and I was getting frustrated and getting down on myself. "I was beating myself up a bit, just with that expectation I had on myself. "I'll take it as it comes this year and enjoy my footy again. I probably wasn't enjoying it as much last year."